The International Bomber Command Centre, in partnership with Lincoln University, is creating a Memorial Spire which will be delivered to Bourne in Lincolnshire on the 10th of May, followed by a Memorial Wall with the names of 26,500 service men and women from 2 and 5 Group. In a second phase, the names of other Groups will be added. An Interpretation Centre will then follow with an opening date in 2016, this will house the digital archive which the Lincolnshire Bomber Command Memorial Trust is creating, all the data is going to be in digital format so that the original documents can be preserved for ever. The trust is currently in the process of scanning the documents and photographs so they can be accessed from all over the World. The precious original documents will need to be stored in a protective environment, ensuring that they do not get damaged in the event of a fire. To help the efforts of the trust and to ensure these historical documents are safely stored, Safelincs has donated a Fire Ranger 1511E fireproof safe for free. 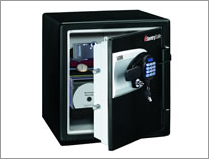 Alpha’s range of secure fire safes has been specifically developed to provide protection from burglary and fire damage. These safes are equally suitable for both domestic and business use and their two tone finish blends in with any office environment. The safes offer a cash cover of £2,000, which rises to £20,000 for anything stored inside that is not cash. Coupled with testing to MTS (Grade B), which provides 60 minutes protection from fire for paper documents and up to 60 minutes fire resistance for digital media such as CDs, DVDs, USB sticks and flash drives, and you will find that these safes offer very good value for money. The Alpha Fire Safes are prepared for base fixing to solid floors and feature a specially designed hinge-door system that allows the door to remain secure, even if the hinges are completely removed from the door during an attack. The A160FK fire proof safe comes with a high security key-lock, featuring dimple cut keys, which are very resistant to manipulation. The remaining 2 models, the A200FED and the A250FE come with an extremely reliable EDL20 digital lock. With an opening code of between 4 and 16 digits (which is very easy to change if needed), external batteries (which mean you will never be locked out due to battery failure) and individual over-ride codes (for use if the safe is locked out due to an attack), the Alpha Fire Safe range offers you security and therefore peace of mind. The storage options on the three models are varying which enables the user to choose a size that would best suit their requirements. The A160FK is capable of holding A4 documents lying flat, the A200FED comes with 5 internal removable A4 sized drawers and the A250FE has 1 removable drawer and a removable/adjustable shelf. These features offer flexible storage solutions which will resolve any unusual needs you may have. The product is so good that we offer not one, but two guarantees. Firstly, a 2-year comprehensive on-site warranty covering parts and labour (in the highly-unlikely event of a lock failure). Like all our fire safety products, these fire safes are also covered by Safelincs’ free lifetime “after-the-fire” replacement warranty. 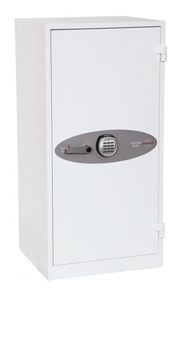 This means if your Alpha Fire Resistant Safe is involved in a fire, we will replace it free of charge. 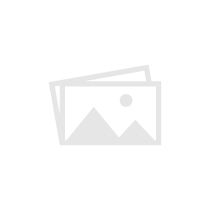 Sentry QE4531 Fire Safe with USB facility – Safelincs Special Offer! In partnership with Sentry Safe UK, Safelincs are now running a limited special offer on the all new Sentry QE4531 Fire Safe with a unique USB facility. The safe is designed for both home and office use. The USB facility allows users to connect their hard drive back up direct to their computer whilst still protecting their back up from fire, without the need to change back-up tapes every day. The Sentry QE4531 offers 120 minutes protection against fire, overnight insurance rating of £1000 cash and £10 000 valuables and is ETL verified for water resistance in up to 8″ of water for up to 24 hours. Posted on December 11, 2008 June 7, 2017 Author adminCategories Special OffersTags fire protection, fire safe, qe4531, Safelincs, sentry, special offers, usb safeLeave a comment on Sentry QE4531 Fire Safe with USB facility – Safelincs Special Offer!